Unfortunately, when it comes to habits, its much easier to form bad habits than it is a good habit. This is because bad habits are usually easy to do. They take little effort. On the other hand, a good habit requires effort and self-discipline. They are much more difficult to acquire. All our life, so far as it has definite form, is but a mass of habits – practical, emotional, and intellectual – systematically organized, for our weal or woe, and bearing us irresistibly toward our destiny whatever it may be. We are what we repeatedly do. Excellence then, is not an act but a habit. One thing that can help keep you adhering to your good habits is to keep your eye on the big picture. Keep in mind that each daily task accomplished is moving you toward your goals. It takes about thirty days to form a habit. Once a good habit has been developed, a person feels uncomfortable and ill at ease if he neglects it. Instead of a burden, a new good habit becomes a comfort and a joy. Dont be discouraged if you slip up, either by neglecting a good habit or falling back into a bad one. Just pick yourself up and get back on the right track. Admonish yourself to show more resolve but dont torture yourself and fall into a hopeless depression. The greatest glory is in never falling, but rising when you fall. Dont let people ridicule you for persisting in your good habits. They are just trying to pull you down to their level. You will soon leave them in the dust. People who exercise regularly or try to eat healthy are often derided as being fanatics. Those that criticize are just feeling guilty because they lack the resolve to do what you are doing. You might be able to attract people with high value skills through a well-presented job advert. However, to keep them with you, your organization must have put in place workforce management policies that make these people want to continue with the organization. The policies must fit in with the organization and the place where it is located. If the policies are incompatible with the existing organization and place, they are likely to remain just book policies that will not be implemented in their true spirit. We look at some standard workforce management policies that can create an environment that make people want to remain with you. Organizational Culture: We mentioned how the organizational environment affects the policies that can be implemented in their true spirit in an organization. You could consider creating an environment that would facilitate the development of your workforce into a cohesive team of achievers. Basically, what you try to do is to create an organizational culture where people tend to help each other rather than blame or hinder each other. Induction Training: Help new employees to quickly become a productive member of your team through an effective induction process. Introduce them to other team members and help them absorb your organizational culture, and to become familiar with the ways of working in your organization. Clear Goals and Roles: Develop job descriptions that indicate clearly what team role each employee should seek to play, and what goals the person should seek to achieve. Goals Aligned to Higher Level Goals: Carefully align employee goals with the team goals, which are aligned with successively higher level goals culminating in overall company goals. That way, the employee would find it easy to contribute in a meaningful manner, and be rewarded accordingly. Work Environment: Arrange workstations, facilities and tools that help employees perform without undue stress. Uncomfortable workstations, high noise levels, having to find needed tools yourself, and so on are stressful and make employees look for better places to work in. Credible Performance Measurement and Reward Structure: One of the best motivating factors is being recognized and rewarded for good performance. The performance must be measured in a way that the employee can understand clearly. Good performance, which can also be measured in terms of contribution to team effectiveness, should be rewarded consistently and without discrimination. Skills and Career Development Options: Each employee should be able to develop his or her skill, and a career development path should be open for his or her progress in the organization. A certification program can add to the attractiveness. An Effective Mentoring Program: A mentoring program that helps each employee achieve personal and company objectives should supplement the above. The mentor would try to help the employee meet company expectations in a way that also meets personal expectations. Carefully developed workforce management policies that would fit in with the organization and the place where it is located could pay high dividends. Your organization would then find it easier to attract the right kind of people, with the right skill set that you need. More importantly, you would find it possible to retain these skilled employees in your organization. We looked at standard workforce management policies that can help you develop a highly motivated workforce in your organization. Career Marketing, Concepts and Terms. What Do You Mean I Am A Product?! Job search seems to have many hurdles to overcome resume, interview technique, appearance, and networking are challenges that job seekers face. These hurdles are surmountable with a strong job search plan and dedicated execution. Job seekers need to apply traditional advertising and marketing methods to their job search to achieve results. By thinking of themselves as the product and the employer as the buyer job seekers can approach their career transitions from a sales aspect. Job seekers should educate themselves on the conditions of the employment and economic markets in their targeted geographic area. They must research companies in either the industry or area to create a profile that includes financial conditions, past activities, names of executives, products, services, financial forecasts, etc. for each company. By doing this, job seekers get a good picture of their target buyer who they are, what they do, how much money they can spend, and if they are planning on being around for awhile. Scoping out the competition is also important for job seekers. The market is flush with very qualified, highly experienced professionals who are offering buyers (employers) skills and knowledge that are all very similar. Job seekers need to find out what kind of competition they face what they are offering employers, what salaries they are seeking, what benefits they are seeking, and what type of skills/experience combinations they are offering. One method is to contact target companies and ask what skills/experience the employees theyve hired in the past six months possess. Job seekers can also talk with executive recruiters to find out what they see in the market conditions and what they expect for the next six months. Pricing is important in a market analysis. Salary levels can be researched through the Bureau of Labor Statistics, Salary.com, and from scanning most recent job advertisements. In a buyers market, prices go down; therefore, salaries are going down. Salaries have fallen from a high in 2000 to levels last seen in 1998 and are continuing to slide. Many job seekers price themselves out of the market because they do not know what their skills are currently worth. Job seekers who find out what salaries they can expect and market their skills with that salary in mind will receive better job search results. Location, buying power, motivation, industry all are aspects of a target market. If Santas chief elf gets downsized because suddenly Santa decides its cheaper to outsource to Thailand, Mr. Elf has very few alternatives at the North Pole for work. Toy makers are overseas or in the US, not the North Pole. He can search for a job all he wishes at the North Pole but if the work isnt there, he will not have success. Location is a key factor in a job search. Buying power is expressed through stock prices, growth forecasts, quarterly reports, annual reports, and spending. A company in stable growth mode has buying power it can meet payroll and will be less likely to lay off. Determining the buying power/financial status of the target market (employers) is vital to a successful job search. Many people have not done this research, accepted a position, and found themselves laid off again in a month and a half or so. Career branding is a hot term in the employment industry these days. Technically, career branding is simply building a great reputation in your career on purpose and then leveraging that reputation to further build your career. In traditional business, branding is a promise of an experience. If you see an advertisement for Coca-Cola, you automatically think of a cool, refreshing beverage. Coke has worked diligently over the years to establish their brand. To some degree, job seekers can do the same thing with their careers by documenting their achievements, working hard on their skills, and building a good reputation within their industries. Direct marketing in a job search is getting your message directly to the buyer. In this case, that means getting your resume directly to the decision-maker. Most job seekers have difficulty with this task. How do you identify the decision-maker? Many job seekers are turning to resume blasting services that employ databases full of hiring managers, recruiters, and other people in hiring positions. Just as traditional business people purchase mailing lists, job seekers can purchase resume blasts that send their resumes to members of similar databases. Typical results for direct marketing is around 1-2% response rate. Resume blasts tend to have similar results but they are relatively inexpensive and may be worth the effort. Research companies can be hired to target specific industries, companies, or other sectors based on specified parameters. These companies can gather very specific information, often mining down to the direct decision-maker, but their fees are higher than resume blasting services. For the serious job seeker who does not have the time or the abilities to do serious data mining for contact information, this can be an investment in career search that pays off. Career print advertising is the resume and accompanying documents such as cover letters, project details, portfolios, and biographies. Most job seekers feel a self-written resume and supporting documents are fine but it is interesting to note that big companies rarely do their own print advertising in-house. They concentrate on doing what they do best providing goods and services and outsource advertising to experts in the field. In recent years, more and more professionals, especially those who are intent on career success, seek the services of professional resume writers and career coaches to assist them in effectively marketing their careers. 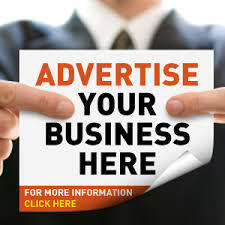 Simply put, word of mouth advertising is networking. Someone talking to another about the benefits of buying a product. As any business owner can tell you, word of mouth advertising is the least expensive, most effective, and longest-lasting of all forms of advertising. Unfortunately, most job seekers use this method least because it seems so difficult. A good career coach can be invaluable in teaching job seekers networking and helping them overcome their fears of talking to others concerning their careers. 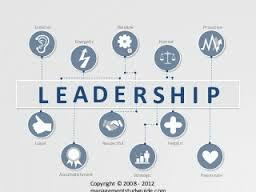 Being a good leader is more than simply being at the forefront of the crowd. A leader must act. Too often, we simply accept that someone looks or sounds like a leader and too rarely do we actually look at the actions that leader performs — and that is the true test of leadership. First, be alert to new potentials. “Reality” is not absolute but rather subject to constant change. Think about inventors, explorers, and agents of social change who have achieved greatness. Some might simply say that certain people are successful because they are lucky to be in the right place at the right time. Maybe so, but if they hadn’t had their eyes open for the opportunity, then it wouldn’t have mattered if they were in the right place. Second, accept inspiration from wherever it comes; even your opponents. The wisest leaders constantly study their competition. In war, politics, and business we constantly see examples of this research and reconnaissance. Too many times though a certain study, many concentrate on finding a weakness to exploit. If you want to a be a leader of positive change don’t fall victim to this trend. Instead, if you find a weakness, make sure to avoid that pitfall yourself. If you find the strength then find a way to strengthen your own qualities to match. Fourth, search for and find answers in subtle clues. Look beneath the surface and constantly question. This is an extension of the third step in that you are seeking new knowledge. But this also means that you will need to step off the traditional paths of knowledge. Don’t simply read books in the literary canon or the bestsellers list. Take seminars rather than classes as there is more room for questioning and debate. Seek out the unconventional thinkers, teachers, and writers. Fifth, improvise if no existing solutions are available. No excuses. Necessity is the mother of invention. How do you know it won’t work if you’ve never tried it before? Remember, not all approaches need to come from the front. Look at your problem from all sides and systematically attempt different solutions in various combinations. Seven, offer help, even if there’s no apparent advantage to you. This means more than writing a check. It means giving of your time and energy and yourself. Sometimes it will mean helping someone you don’t know and sometimes it can be a very personal action. Obtain info on stocking from ALL visited outlets in territory (where from, when, price, where to & why still pending >30days) - Record and report weekly / monthly. Custodian of channel databases within the region - conduct regular updates and ensure usability.